The Innovator (The official publication of the students and associates of FEU Tech) featured the award-winning thesis created by La Lune (composed of four students namely, Gab, Maja, Naomi, Rio). The group will be recognized for their work at the school’s 10th Annual Students’ Recognition next week. 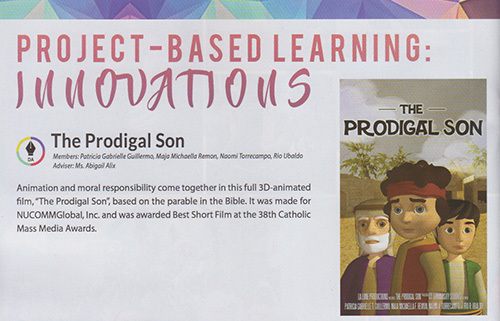 This entry was posted in College life, Digital Art and tagged 10th Annual Students' Recognition, 3D animated film, Best Short Film at the 38th Catholic Mass Media Awards, La Lune, The Prodigal Son animation, thesis on June 29, 2017 by Yami.